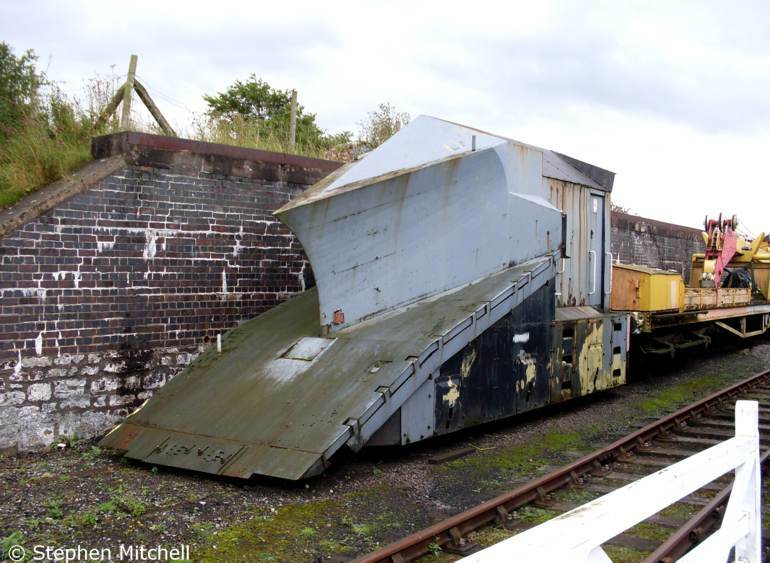 Three ballast hoppers of the type known as Dogfish are currently on the railway, all built to diagram 1/587. All three are in working order. 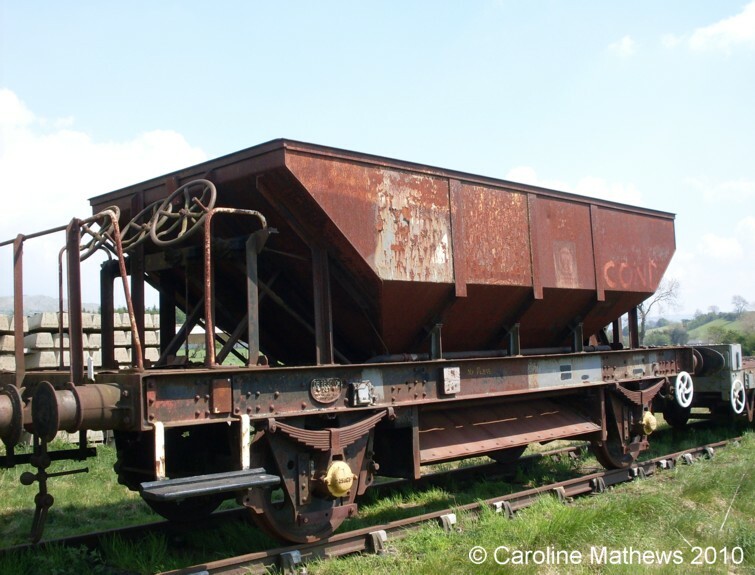 Low Machine Wagon (Lowmac) KDE263282, TOPS code ZXW was built by the LNER in Darlington in 1945 and originally carried the number E263282. It sees regular use in works trains where its low floor is of great benefit and is pictured below in a short works train in 2010. The wooden floor was completely renewed in 2011. 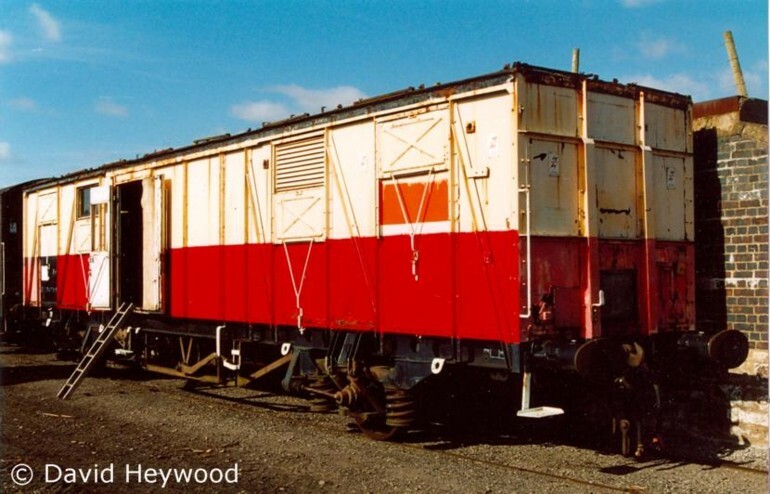 The Sturgeon is a multi purpose rail, sleeper and ballast wagon, code YBB. 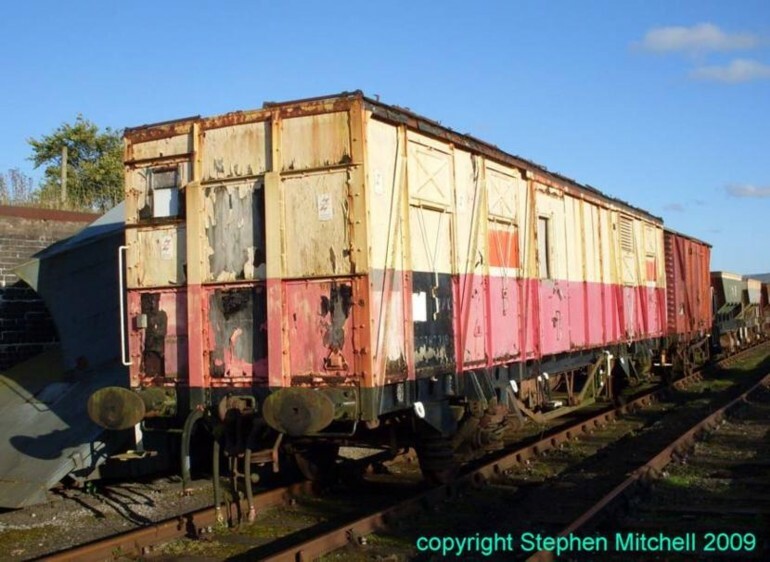 Our example, DB994430 was built in 1960 by British Railways at Lancing, lot number 3265 to diagram 1/647. 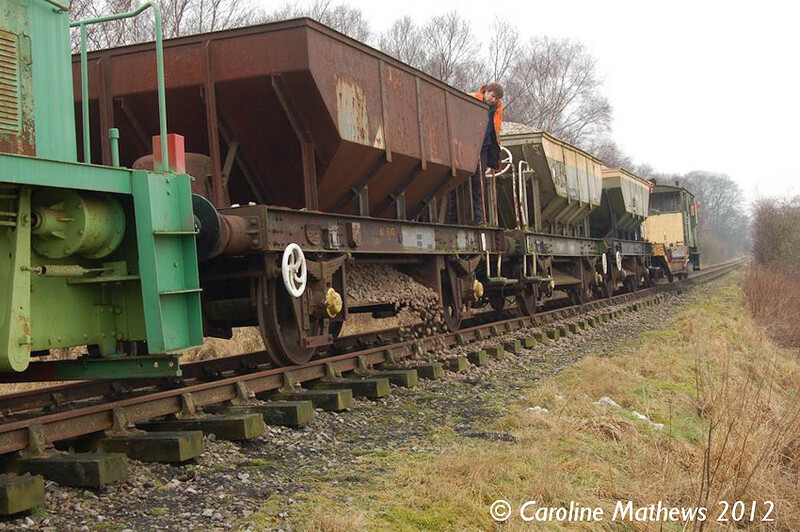 It has seen much use on works trains as it's size allows us to transport large loads, such as that seen in the photo below. 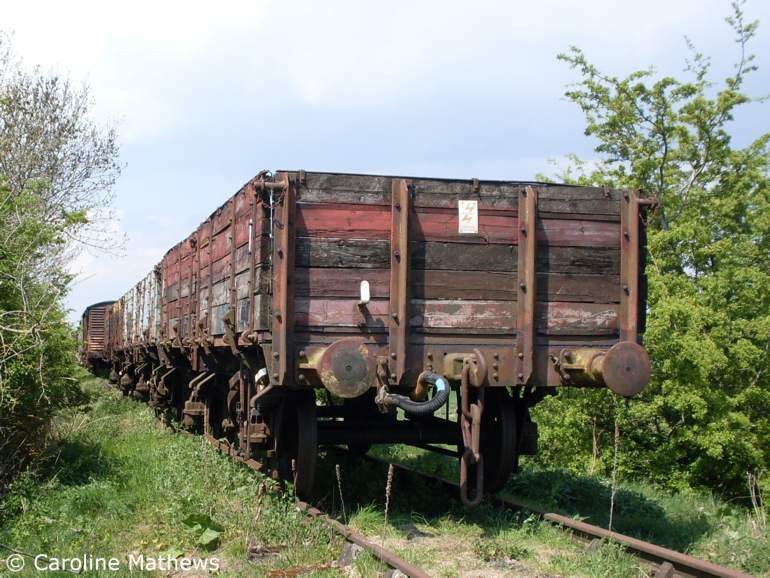 DB994430 in Warcop Yard with a lot of sleepers neatly stacked on it. 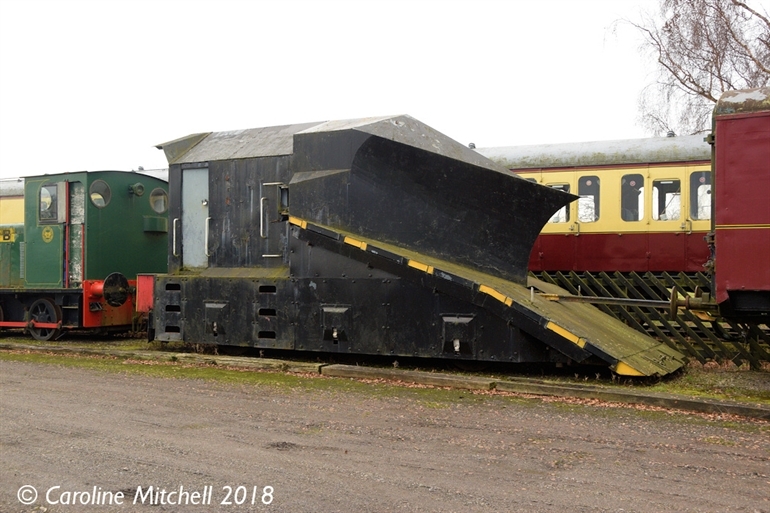 British Rail's ballast plough brake vans were known as Sharks: DB993860 was built in 1957 by Birmingham Railway and Carriage Works, lot number 2040, to diagram 1/597. 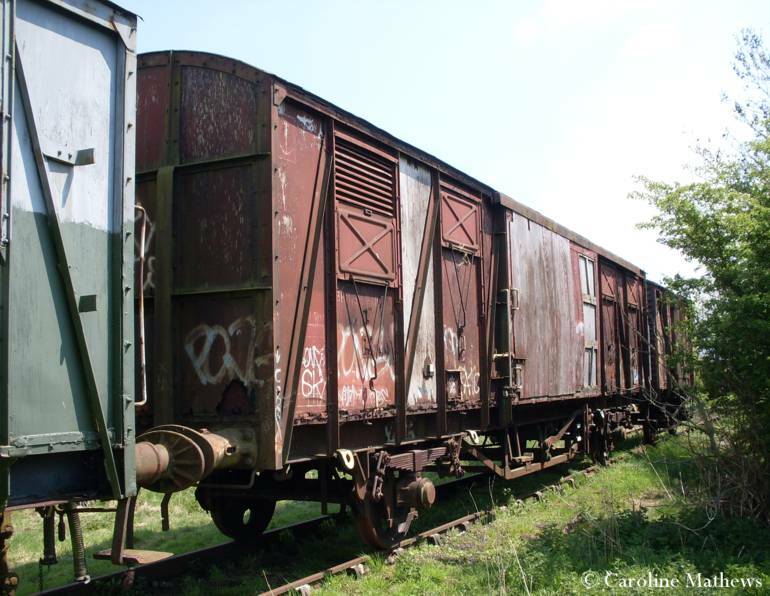 It has seen regular use with the works train, and was formerly used for brake van rides when the Eden Valley began running trains. It has recently undergone an extensive overhaul to replace a lot of the woodwork. The rather naked Shark in 2014, with almost all of the woodwork removed and the new frame in place. 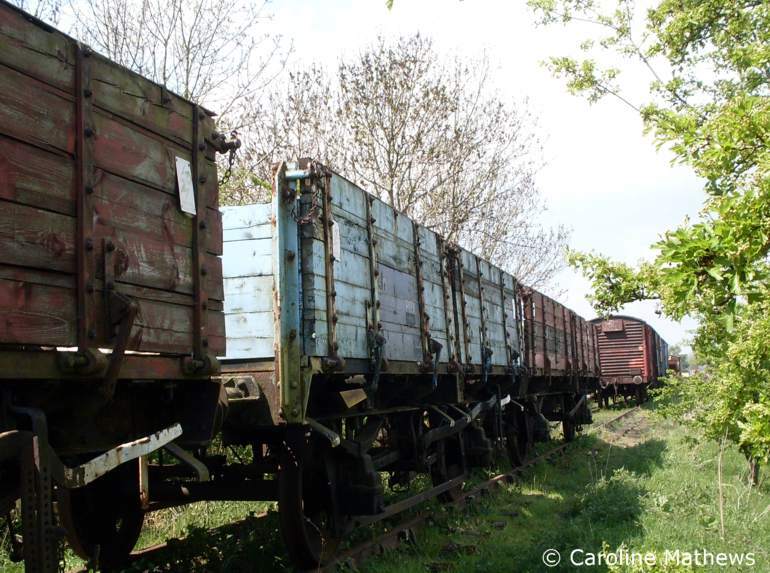 M94749 is one of 822 Covered Carriage Trucks (CCT) built in the late 1950s and early 1960s. It was built by BR at Earlestown in 1960 to diagram 816, lot number 30614. Following withdrawal it passed to the Mechanical and Electrical Engineers' department as an electrification stores van and was renumbered KDB977141. 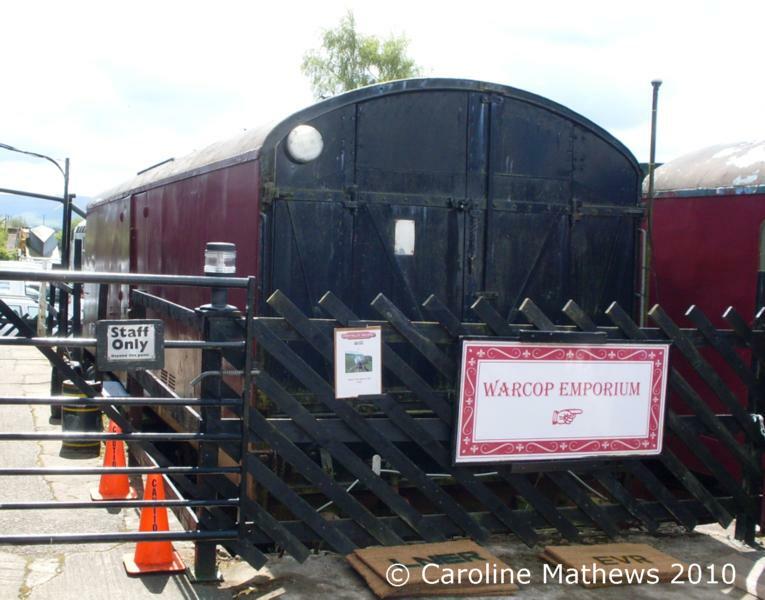 At Warcop it was used until the end of 2012 as The Warcop Emporium. Having been replaced by MLV S68010 it is now being used as a storage space and has recently had a repaint to brighten it up. In the late 1950s British Rail built thirty 14 ton Motor Car Vans for use on continental ferry services. B889020 was built at Lancing in 1958, lot number 3022 to diagram 1/291. On withdrawal it became an internal user vehicle numbered 042187. It is currently in use at Warcop as a stores vehicle and is in a very difficult position for the photographer. This is the best I can do. 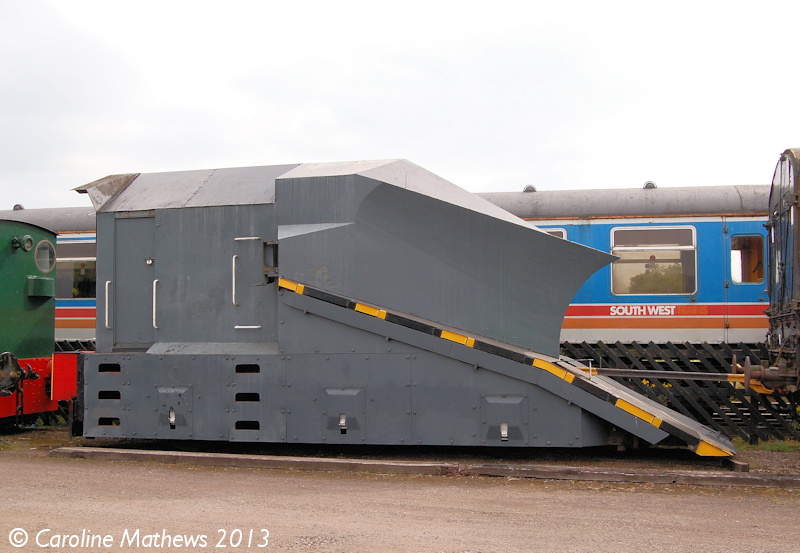 Originally built as a ferry van, this vehicle was fitted with an experimental suspension at Derby in 1968 in order to trial high speed running of four wheeled freight vehicles. It was renumbered RDB787319 and given the designation HSFV4. 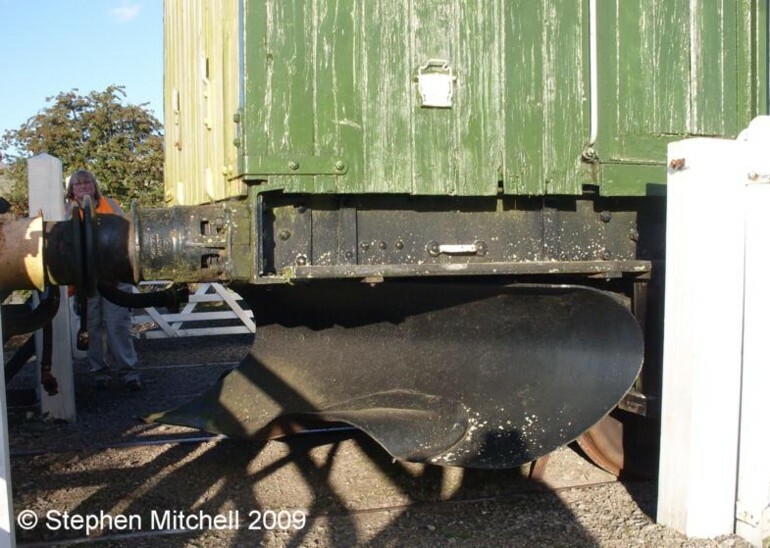 Following the end of the trial it was subsequently used for general test work and had a flat roof fitted for use in overhead line testing trains. 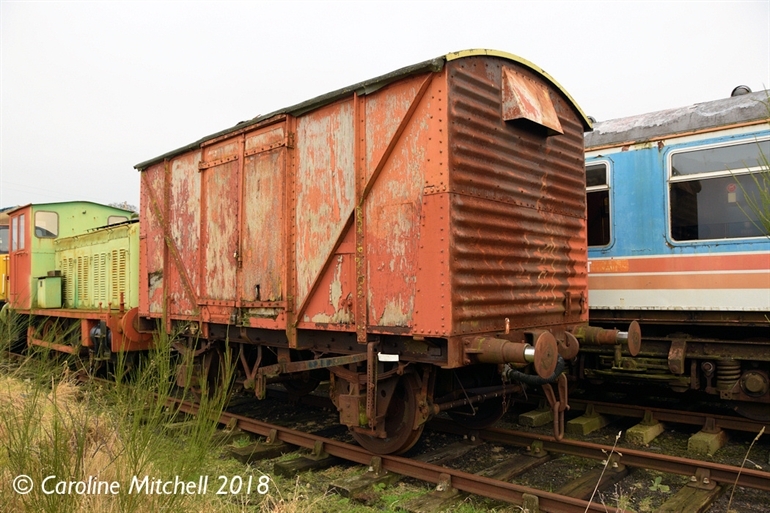 After use as a mess van and tool store for the S & T department it was dumped out of use at Morpeth before moving to Warcop, where it is currently looking rather worse for wear and awaiting restoration. For a fuller explanation of the experimental suspension and some photographs of HFSV4 in use see here. 786897 and 787277 are two 20 ton ferry vans built to diagram 1/227, lot 3472 at Ashford in 1963. 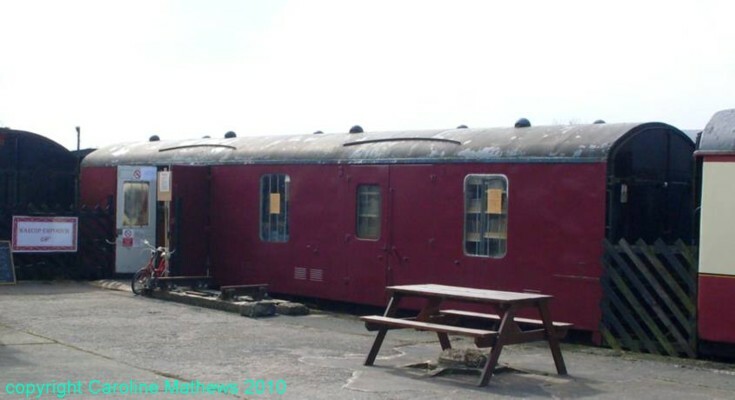 Prior to arriving at Warcop they had both been in use as S & T stores vans. 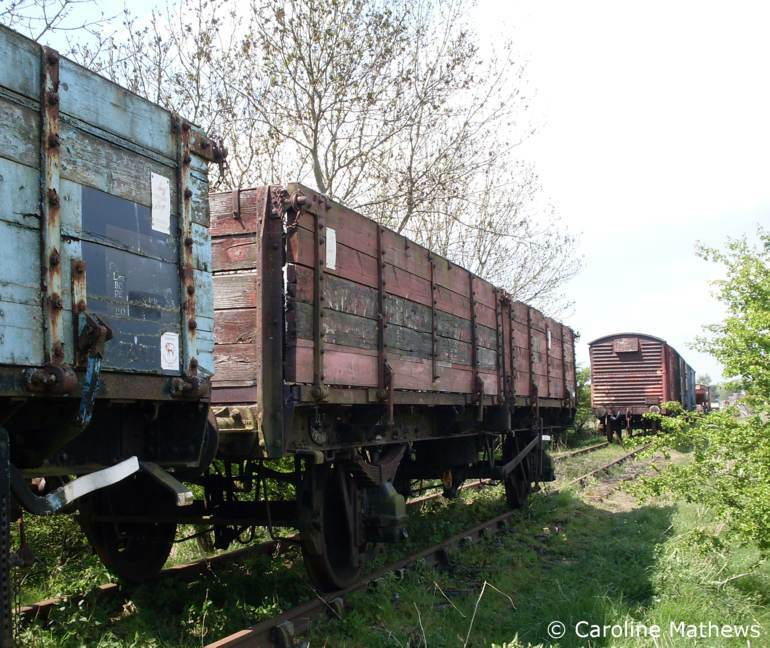 B762586 is an all plank standard ventilated goods van built at Wolverton in 1954, lot 2595, to diagram 1/208. It is currently in poor condition but restoration is scheduled to commence in 2018. 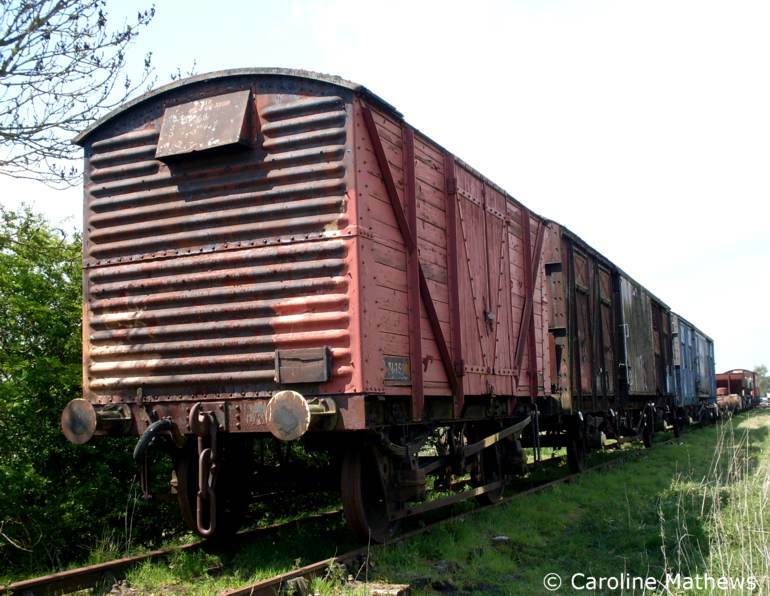 B785252 is a plywood bodied standard ventilated goods van built by Pressed Steel in 1961, lot 3398, to diagram 1/224 and is in use for storage at Warcop. 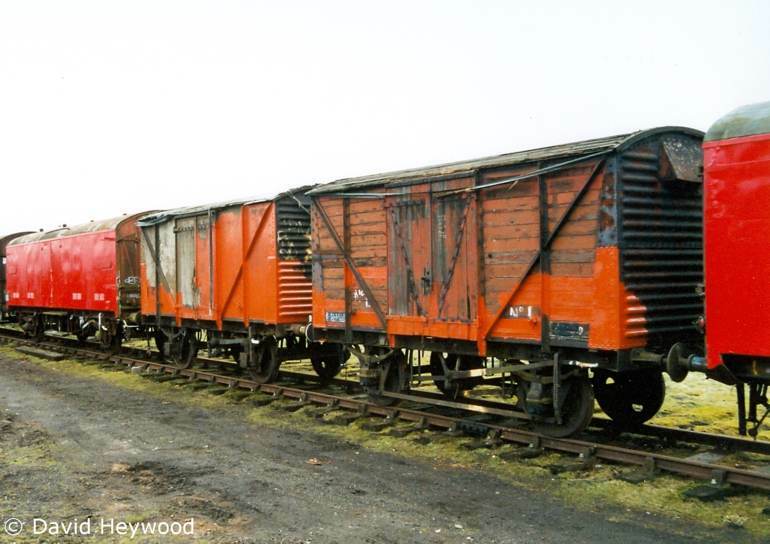 The two vans together in the early days at Warcop when they were part way through painting. 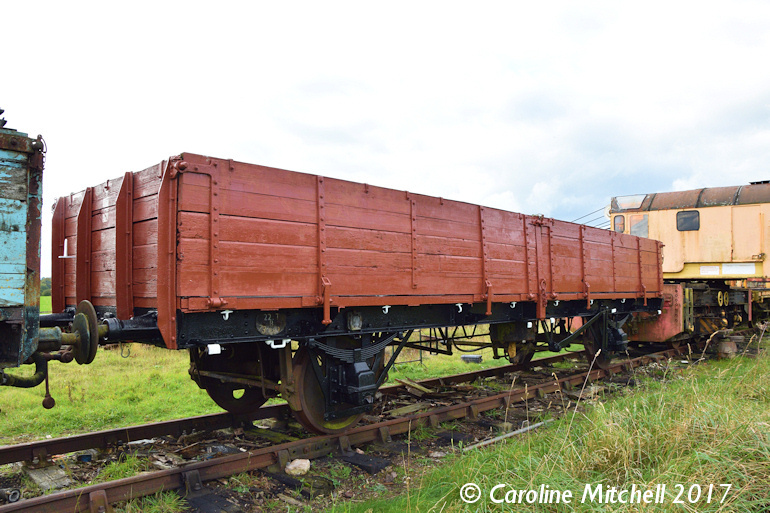 B730189 is a 20 ton tube wagon built in Darlington in 1949 to diagram 1/445 and based on an LNER design. 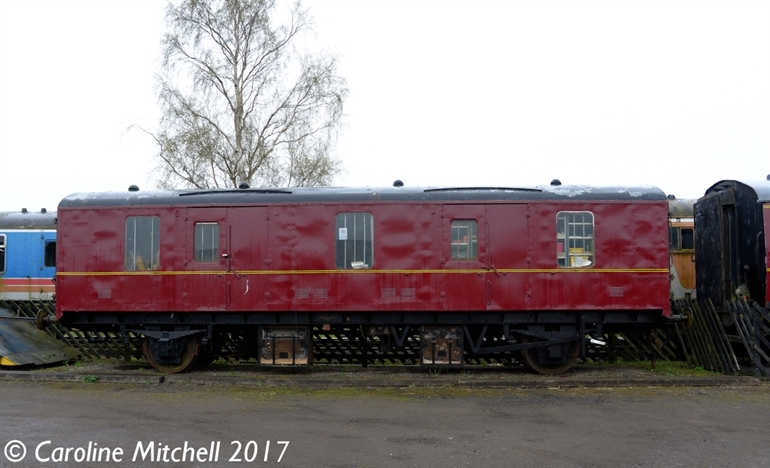 At some point it has been repaired and one of the doors is now 4-plank rather than 5-plank, but when this happened is unknown as it was like this when it arrived at Warcop. 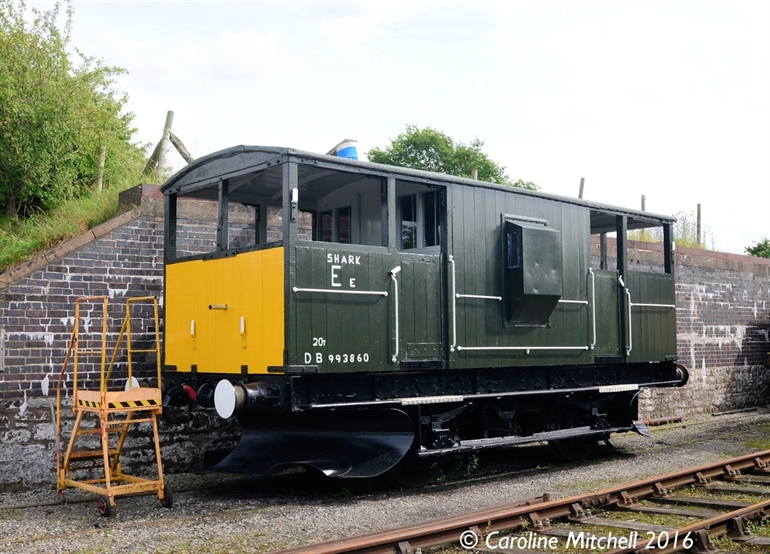 It has recently undergone a thorough restoration and is in use in the works train. 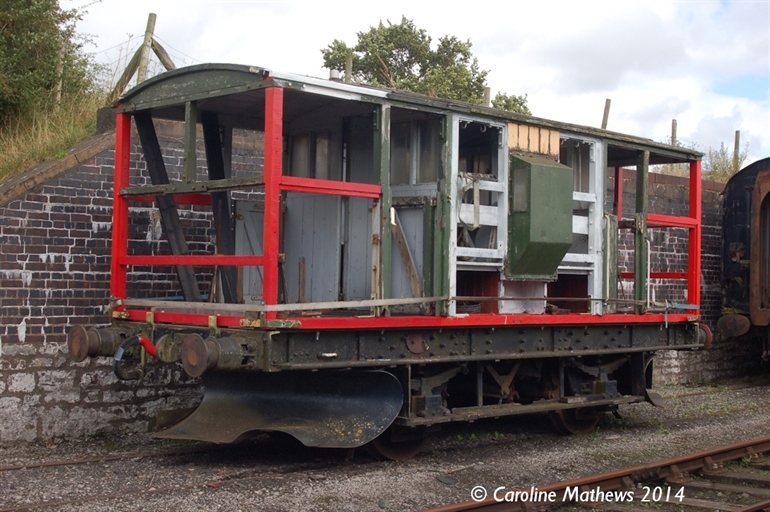 The snowplough in July 2013 after receiving some of that paint and in January 2018 wearing a black topcoat and some Cumbrian weather related discolouration.